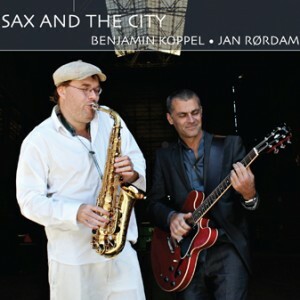 Benjamin Koppel, Danish saxophonist and composer, is one of the most award-winning musicians of his generation, known for his versatility and virtuosity. Koppel’s musical background is deeply rooted in his family and can be as well compared to the musical heritage from the famous Jacksons 5 or even the world known Bach family from Germany. He is the grandson of famous Danish classic composer Herman D. Koppel, and the son of musician and composer Anders Koppel, who had a great success worldwide with the band Savage Rose and is well known for being the greatest Danish beat musician of his generation. 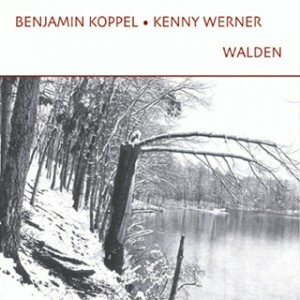 The music genre of the family spreads out from classical to jazz and pop genre and Benjamin Koppel masters all the genres with the outmost perfection. He formed his first band, when he was 15 years old, and has appeared on more than 50 recordings. The variety of his musical collaborations is wide, and has established him as a sought after musician internationally. As a soloist and bandleader, he has performed/recorded with Phil Woods, Kenny Werner, Jim Hall, Joe Lovano, Scott Colley, Daniel Humair, Palle Danielsson, Alex Riel, Miroslav Vitous, Anders Koppel, Inger Dam Jensen, Michala Petri, Adam Nussbaum, Randy Brecker, Chano Dominguez, Charlie Mariano, Portinho, David Sanchez, Sheryl Crow, and others. 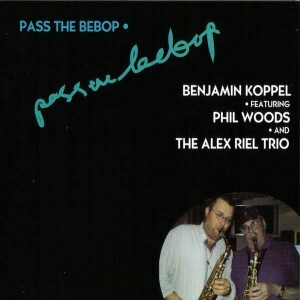 In 2000 Benjamin Koppel formed his own independent record label, Cowbell Music that releases high quality jazz music as well as classical, cross over and pop music. Today the business has developed into a music and event bureau producing concert and unique musical experiences in cooperation with different Danish and international enterprises and cultural institutions. Twice a year, Cowbell arranges two independent jazz festivals – Summer Jazz and Winter Jazz – with a significant trademark of mixing genres and generations on stage. The aim is to communicate jazz in a modern and understandable way – always with some of the most well-renowned jazz musicians in the world. • 2004/2007: Extensive touring in Europe & the USA incl. concerts at Carnegie Hall, Birdland in New York, Jazz festivals, etc. • 2001: Founds Cowbell Music which publishes jazz, classical, crossover and pop music and organizes lectures, festivals and culture debates.